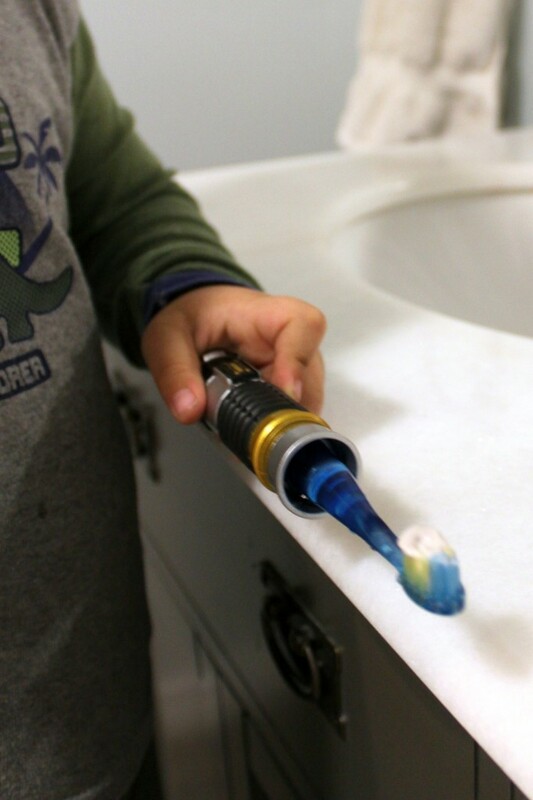 How do we get our kids to want to brush their teeth? 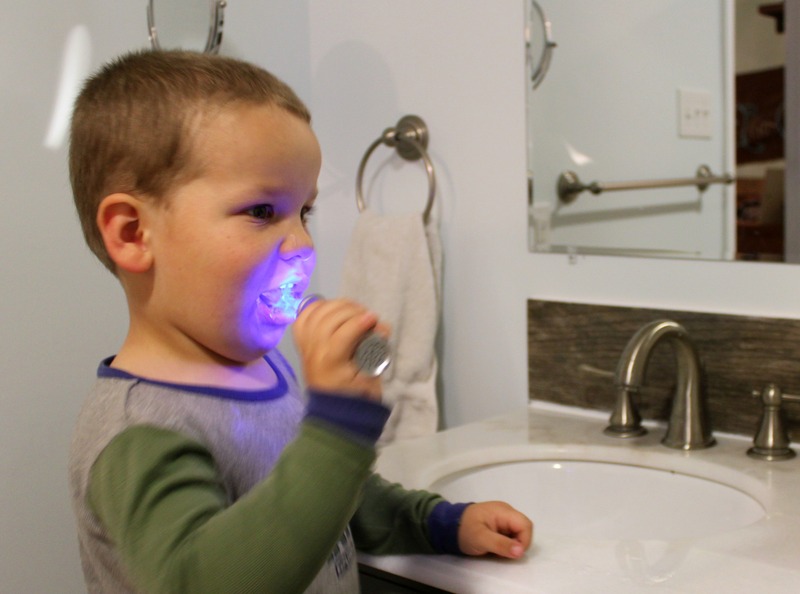 Three words – light saber toothbrush. The Bear hasn’t seen a Star Wars movie yet, but he is already a big fan (just like his mama). 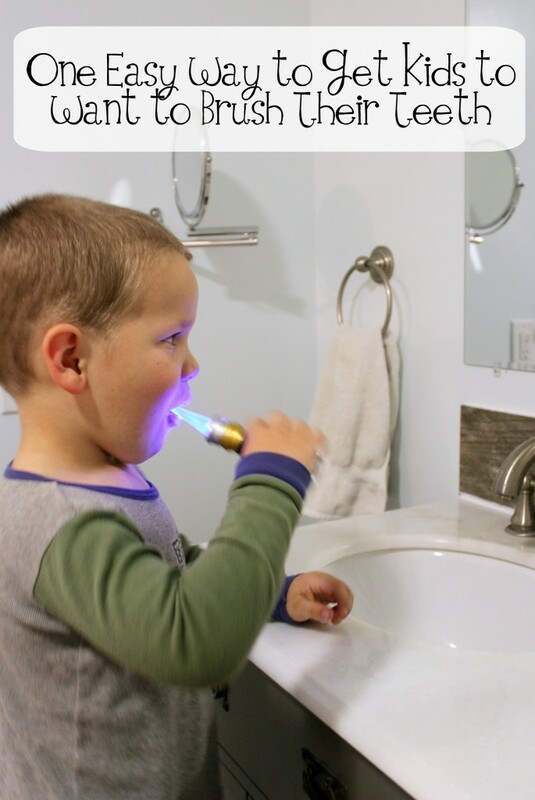 When I gave him his Firefly ObiWan Light Saber Toothbrush he LOST HIS MIND. I’m not even kidding when I tell you he brings it to me in the middle of the day and asks if he can brush his teeth again. This is a kid who would throw fits, make excuses, and procrastinate like a champ just to avoid brushing his teeth. Now he WANTS to do it. Why? Because he gets to use a light saber. Who wouldn’t want that? Not only does the Firefly toothbrush light up and make light saber noises AND have the voice of ObiWan, it also helps him time his brushing so he gets the job done well. If your little one is a Star Wars fan, be sure to check out the whole line of Firefly Star Wars toothbrushes available at Target. Firefly also has a really fun dental products for kids featuring Hello Kitty, Marvel, Angry Birds, and more to help your kids establish healthy dental hygiene routines. Firefly is hosting an epic Legoland Vacation Sweepstakes. Win an incredible California Legoland adventure for your family by entering the Firefly #BrushBattle Sweepstakes here.